Where Do I Go: With My Fears? When you’re feeling pain and fear, you can look to God’s Word and read about his love and forgiveness and mercy. Whatever fear you’re holding on to—God's got it covered, and he’s looking out for you. Where Do I Go: With My Anger? 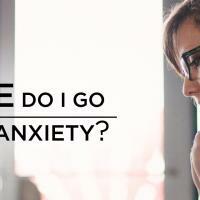 Where Do I Go: With My Anxiety? Where Do I Go: With My Loneliness? Where Do I Go: With My Doubts?